Repeated clicking causes the wear of your mouse, and it exerts pressure on your hand joints causing painful swelling and numb wrist joints. The very first auto clicker appeared shortly after the invention of the first mouse, since then they have evolved alongside mice. Some manufacturers have stuck to simple designs that emulate the mouse clicks on demand; though primitive, they still have their niche today. However, there are those who keep up with advancing mice technology. In this guide, we look at the top 5 and best free auto clickers in 2017 for windows. This is arguably the best auto clicker in the world today. It lets you automate your mouse clicking without pressing the buttons on your mouse. It frees you from repeated mouse clicking work by simulating right and left clicks on any window or screen on your computer. 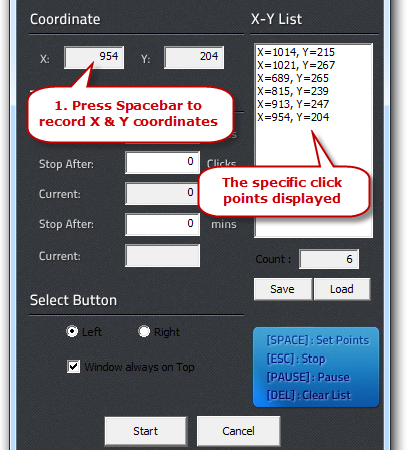 It shows you the exact X and Y coordinates of the click point allowing you to record multiple click points for repeated use with a hot key. You can also change the time interval between each click and set a schedule when to start or stop clicking. 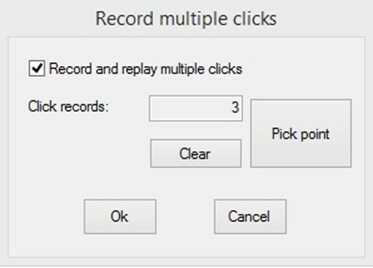 This auto clicker can simulate single and double clicks on the left, middle, or the right mouse buttons. The simulation is dependent on the time intervals you select. After a predetermined number of clicks, the Auto Clicker by Shocker stimulates clicks to freeze the cursor, pause between clicks, and stop the clicks. It allows you to set a start/stop hot key on your keyboard. This software makes mouse-clicking work easier. It is one of the simplest auto clickers on the market today, but it is ideal for diverse mouse work. It supports a start/stop hot keyboard key, single and double clicks on both the left and right buttons, as well as allowing you to set the mouse click intervals. It can repeatedly click an app, window, interface, and screen to keep it from closing. This is the absolute time saver whenever you are working or playing a game. You only need to set a start/stop hot key on your keyboard, and GS Auto Clicker 3.1.2 will do the rest. 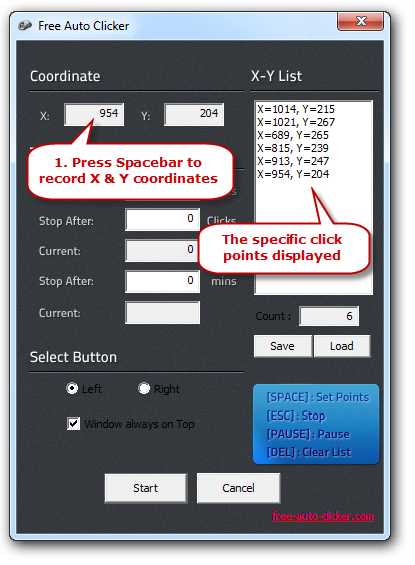 It operates on the record & playback principle, allowing you to record any amount of mouse pointer coordinates by clicking on specific areas of your screen. When you press the hotkey, it takes over the pointer and clicks on all of the pre-recorded positions of the screen. 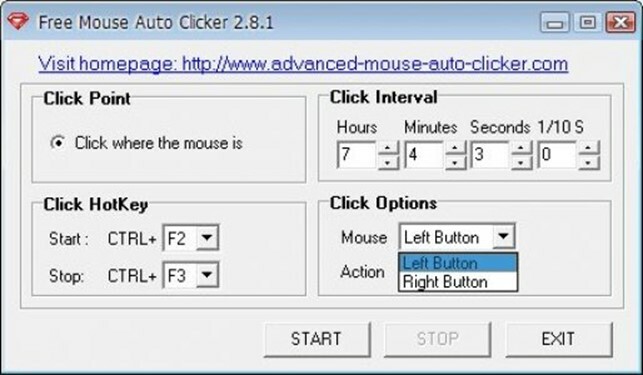 This auto clicker from Cok Free Software is a perfectly functioning auto clicker designed for the steady and automatic clicking of mouse buttons on both the left, middle and right mouse buttons. You only have to set a key on your keyboard to act as a start/stop hot key for the auto-clicking functions. All there is left to do is the setting of the time intervals then press the hot key. 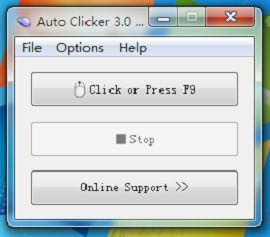 In conclusion, these are the best free auto clicker software compatible with your windows PC. They will come in handy when doing online shopping, voting, keeping apps and screen from closing, and best of all they are free for download. Get yours today they are time savers.